Discipline 101: The basics of correcting children. Simple things parents can do to help their children learn to obey and behave. I watched as the toddler was picked up and taken out into the hall. The occasion should not have been a happy one, but his eyes glistened and his smile revealed that he did not feel sad at all about being taken out of the church meeting. As the meeting continued, I could see him run by every so often as he chased a ball up and down the church hall, gleeful that his behavior had earned him the “consequence” of playing ball rather than sitting still. While I was pregnant with my first child, I had enough sense to know that rewarding the child’s misbehavior with play time in the hall would only lead to more misbehavior in the future. I don’t think anyone wants to have a child who won’t listen and is a behavior problem. And yet, many parents arrive to that point without really knowing what road they took to get there. 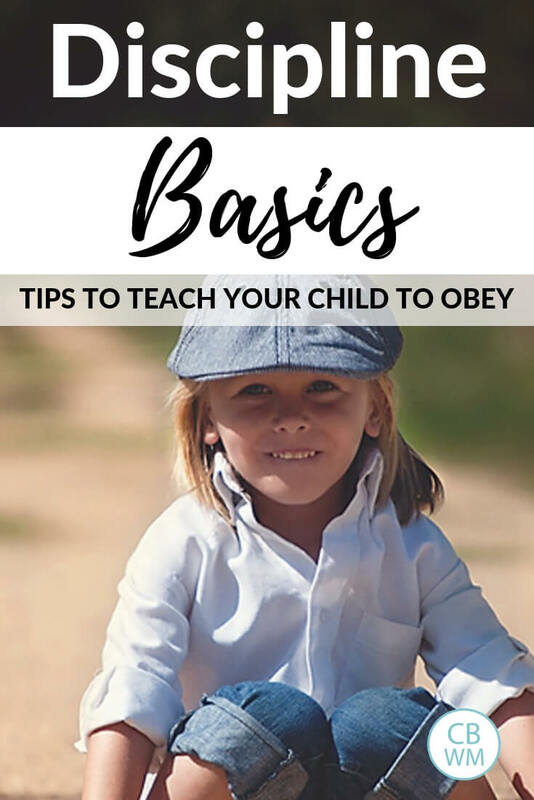 If you want a child who is obedient, there are some basic things you need to know. One of the first things you should understand when thinking about teaching children to obey is obedience percentages. Even naturally obedient children will not obey 100% of the time. Children are humans, which means they are people, which means they make mistakes just like we adults do. Sometimes they are grumpy and go against your wishes “just because,” just like we adults are sometimes not kind to others even though we know better. There will even be times your sweet little child will disobey you and act out in public for seemingly no reason. Disobedience on occasion is not a sign your child is a problem child or that you are doing anything to contribute to your child’s lack of self-control. I have a post dedicated to common Obedience Percentages for different ages. If you would like to know where to set your expectations, read that information. One of the most important bits of advice I can offer to any parent who wants their child to obey is to follow through. Say what you mean and mean what you say. If you tell your child, “If you throw wood chips one more time, we are leaving the park,” then you better leave the park when he throws those wood chips again. If you aren’t willing to leave, DO NOT threaten that consequence. Parents often think up a consequence to threaten the child with that they know the child will really hate. They hope the child will hate it enough that they will just obey. What parents fail to remember is that children are little scientists. Children like to figure out if mom means it or not. Children like to learn what happens when lines are crossed. They like to know if they can push boundaries. 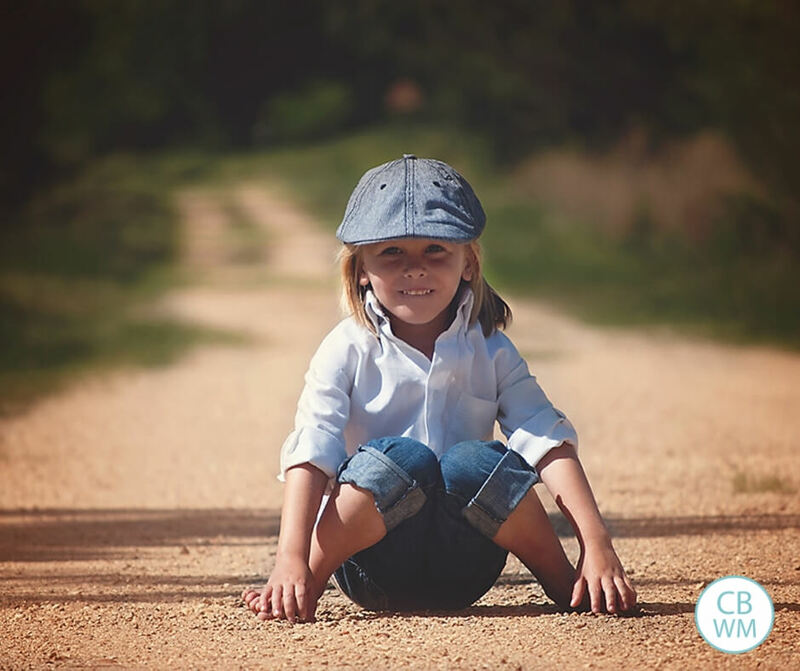 It is better to rarely offer up consequences that you follow through on than to threaten frequently–hoping your child will want to avoid it and therefore obey–and then give second, third, and tenth chances on. The children I know who are consistently well-behaved, from toddlers on up through teenagers, have parents who mean exactly what they say. Do not make empty threats. Do not make outrageous threats (we had one friend who threatened to bite his son’s fingers off if he hurt a child again. Well, the son promptly hurt another child and eleven years later he still has all of his fingers). “An ounce of prevention is worth a pound of cure” so the saying goes. This is absolutely true in discipline life! You make sure your child is not asked to handle more than she can handle. Many children will be very disobedient when they are tired and/or hungry. Be mindful of how you are asking your child to behave given her sleep and food factors at the moment. 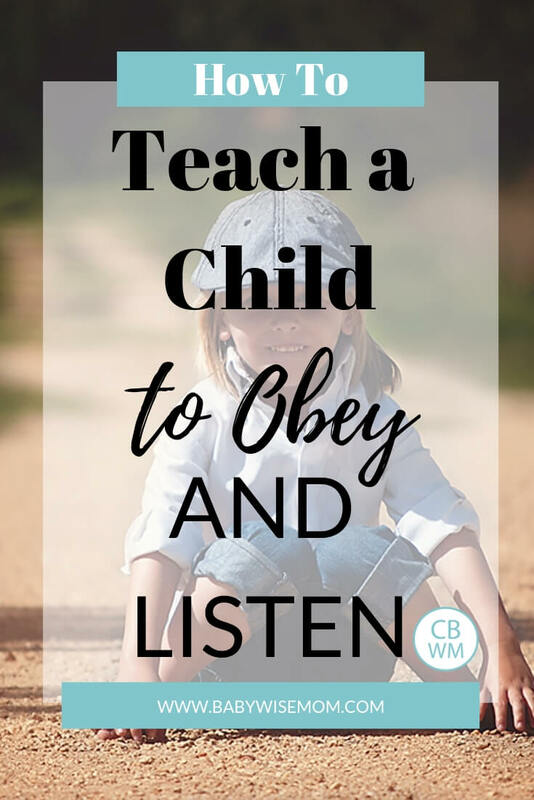 You teach your child how to obey and what the rules are at times other than when the conflict is there. Teaching your child to share toys before a friend comes over will be more successful than waiting until your child is fighting over his favorite fire truck. See Training in Times of Non-Conflict. Along the lines of training in times of non-conflict, you need to Teach What Obedience Looks Like. We often fail to remember that our children are new to this world. They do not have the life experience that we have and they don’t automatically know what they should and shouldn’t do. They are like travelers in a foreign country. They need to learn the language, the non-verbals, and the rules. They don’t know what is socially acceptable. They do not know what is offensive and what isn’t. They are VERY fast learners, but they are still learners. You run through the rules and expectations before you go somewhere. This method, called Ask and Tell, is very powerful in helping your child behave. Not giving your child the expectations before leaving is like being invited to a black tie event when you had no idea and showing up in beach attire. No matter what you do, you can’t change your clothes during the event. Now, if you knew ahead of time and packed for the black tie, you could go get dressed appropriately. Give your child fair warning to know what to expect. “At your sister’s presentation, you need to sit quietly and not talk.” “When it is time to leave the park, you need to leave without crying and come when I call.” You will be surprised at how well this method works. Always parent with long-term goals in mind. Don’t allow things now that you will have to work harder to fix later. Doing that is called Credit Card Parenting. Credit Card Parenting takes more work later. You fix the behavior at some point, and with interest. A child who has too much say in life–more say than the child can handle–will have a hard time obeying authority figures. As the child gets older, the child gets more and more control over his life. But he can’t have full control as a toddler. He must learn bit by bit and practice having responsibility over that control. Just like you wouldn’t give a first-year med student permission to operate on you, you shouldn’t give a two-year-old permission to make all of the decisions in his life. Contentious parents often think they need to be sure to fully provide consequences for every offense or the child will grow up to be a hooligan. Not every offense requires a consequence. Understand the difference between Childishness vs. Foolishness. Sometimes a simple shake of the head “no” from you is all your child needs. Sometimes your child needs more education, not a punishment. Methods like Substitution, Distraction, and Encouragement are adequate for teaching a child what is okay and what isn’t. Always remember your child is learning. Your child won’t ever be perfect, and certainly won’t be close from the beginning. You need to give things time. You need to accept that discipline is a step-by-step process. Luckily children’s need for discipline grows with them. You can learn as you go because you don’t need to know it all at once. Learn about Disciplining Your Child Without Taking Yourself Too Seriously. For more ideas, you can check out my Discipline Index. Love these tips, especially about following through. That is key in my opinion.